The drug development process is an intricate inter-related process. Only 11% of drugs will make it through the drug development and registration processes to commercialization. This statistic makes it imperative that those working on any aspect of a drug's development understand the process. This two day course will provide an in-depth look at the process. The program will allow simulations of the drug development process so that hands-on experience can be gained. A mixture of large pharma, small pharma and expert panel members will ensure panel discussions are relevant, responsive and applicable to everyday situations that participants face. The price per participant (see below) includes pre-Boot Camp interview discussion about your personal goals in taking the Boot Camp, tuition, course materials, two light breakfasts, two gourmet standard sit down three course lunches, coffee breaks with refreshments, and a networking reception on November 20, 2019. 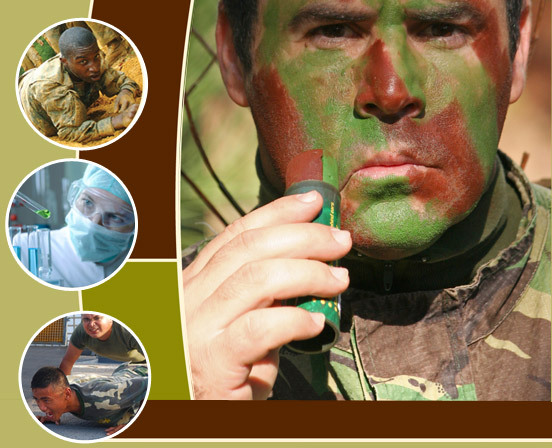 It also includes an extensive detailed package of preparatory materials that must be read and studied in advance of the Drug Development Boot Camp®. Companies wishing to register large numbers of participants or whole Teams are encouraged to do so. The eleventh person will be granted a full scholarship (obviously excludes travel expenses, etc.). A single scholarship will be awarded to any firm or institution that registers ten participants. 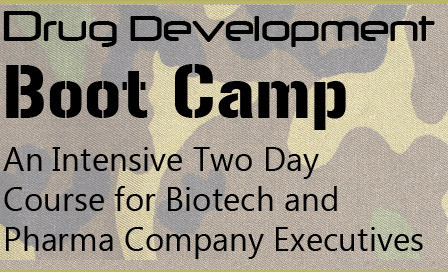 Whole project teams can be trained at the Drug Development Boot Camp®. We welcome scholarship grants from organizations that specifically wish to send individuals or groups to the Drug Development Boot Camp®. If you are a large pharmaceutical company that is working with an academic group or a small company that you would like to send to the Boot Camp, this can be accommodated. Start pre-Boot Camp course work today! Register now. As with any intensive training process, participants should prepare in advance. All participants are given reading assignments that are relevant for their day to day work. All participants are encouraged to avail themselves of the opportunity to discuss their drug development needs with Dr. Speid. All participants will be asked to complete a detailed questionnaire about their research and/or development experience after registration. Exhibitor and Sponsorship opportunities are available for companies that provide high quality services to the biotechnology and pharmaceutical industries. Tel: 858 793 1295 for more information. The true cost of taking the Drug Development Boot Camp(R) in 2019 is $4,900. High discounts are given to those who register as early as possible. Email Dr. Speid at LSPEID@SNDTM.COM to receive a registration Invoice immediately if you cannot pay using the registration system below. Do you want to receive updates about the Drug Development Boot Camp™? Do you want to receive information about regulatory affairs support services? Registration cost Includes interview discussion of goals, tuition, Briefing materials, 2 x breakfasts, 2 x3 course sit down lunches, 4 x refreshment coffee breaks, 1 x Reception. Hotels and travel costs are not included. All content © copyright 2019 to Speid & Associates, Inc.